We have the ability to locate your equipment for you. We offer maintenance on equipment we supply. Your maintenance contract covers you for callout out fee plus the first 1 hour of a call out. All equipment parts and software are not included in this cost. We offer a call out onsite within 24 hours of the initial call. If you need access to your equipment during office hours and provided we get more then 7 days notice, then no fee is payable. We do offer call outs between 10pm and 8am however a surcharge of 25% is payable. We can arrange for you servers for installation. We build these machines as per your specifications and load the relevant software package that you require. Our staff recommend - Debian or Windows Server 2003. 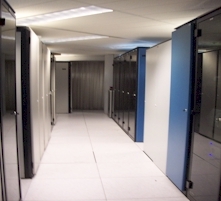 With Co Location Server Hardware and Software are a separate purchase and are not included in the monthly rent. We specify that all colo must be 1RU size. Why host in Australia ?